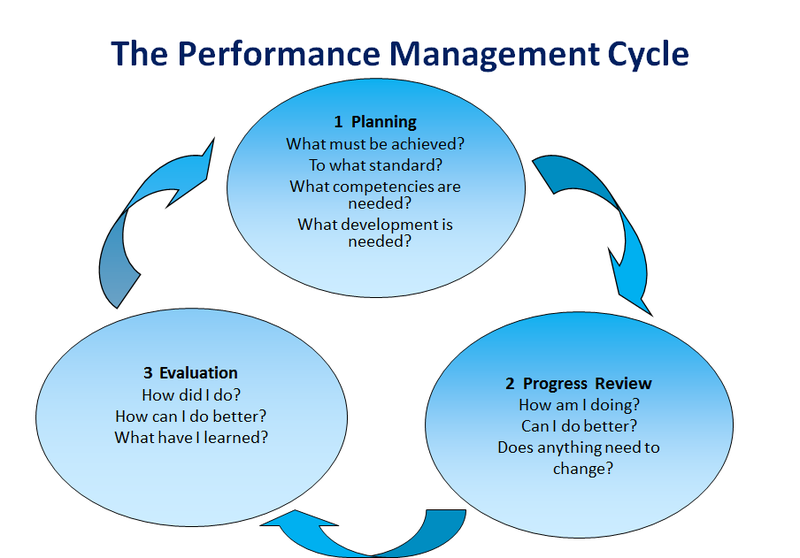 In this and the next three blogs, we will review the performance management cycle and discuss how competencies play a key role at each stage. Planning: During this stage the manager and employee meet and agree on not only what the employee must accomplish and to what standard (e.g., sales goals), but also the competencies needed (e.g., Customer Focus; Organization; Product Knowledge; etc.) to effectively accomplish the performance objectives. To achieve optimal performance, it is also important to define what learning and development the employee may need to address any gaps in competency. Progress Review: Throughout the cycle, both the employee and manager track the employee’s performance and development. Both address the question of whether there are improvements required; and if there are any barriers to effective performance that must be addressed in order for the employee to perform the work to the required standard. As necessary, the employee’s performance plan is adjusted to address any changing circumstances. Evaluation: At the end of the review period, both manager and employee reflect on the employee’s accomplishments against the work goals and standards that have been agreed to at the beginning of the cycle. They also consider what has been learned by the employee during the period that can be effectively applied within the employee’s current role or beyond in future jobs. They come to an agreement on how well the employee performed during the cycle and what needs to be considered in terms of future work goals and standards to be achieved in the next cycle. A formal rating or evaluation of the employee’s performance may be conducted by the manager, particularly if key decisions affecting the employee’s employment, rewards or compensation must be made. Typically competencies are incorporated in the performance management process in order to provide a description of the type and level of behavior the employee must display to achieve the key goals / objectives and standards. In other words, “performance outcomes” represent “what” must be accomplished and the competencies elaborate “how” they must be accomplished. In the next three blogs, we will discuss each stage of the performance cycle in more depth and how competencies play a vital role at each stage.